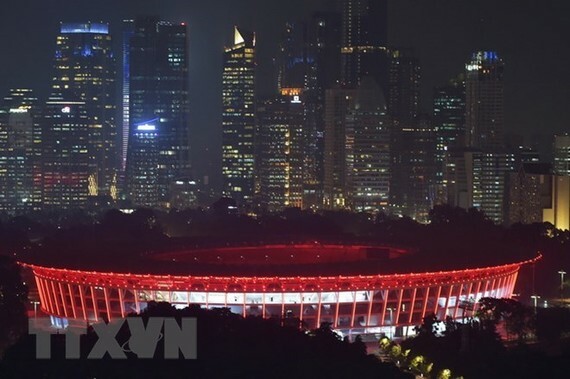 Indonesia, as the host of the 18th Asian Games (ASIAD 18), has set four top priorities for the smooth and successful implementation of the largest regional sporting even of Asian nations. The top four priorities for the 18th Asian Games are competitions, administration, support and security, according to Erick Thohir, President of Indonesia’s Asian Games Organising Committee. The Asian Games will be co-hosted by Jakarta and Palembang, South Sumatra, simultaneously from August 18 to September 2, 2018. Some 9,500 athletes, 2,500 staff members of the Asian Olympic Council, and 5,500 technical delegates from 45 countries will participate or be involved in the event. At least 3,500 media representatives are expected to cover the event. Earlier, Jakarta Deputy Governor Sandiaga Uno, emphasised that security will be one of the top priorities of Indonesia during the 2018 Asian Games. Security efforts will be undertaken with coordination of various parties, particularly the police, and with the support of the Indonesian Defence Forces. At least 1,700 officers of the Jakarta police and military will be deployed, and they will be supported by civilian security guards. Thousands of CCTV cameras will be installed, including at least 600 in Palembang. Venues to be guarded and have security cameras include athlete villages, sport venues, and airports. Meanwhile, Japan has pledged technical assistance to Indonesia in hosting the Asian Games 2018 by providing and support security and sport equipment as well as LED lights. Under the support scheme, the Japanese Government has allocated 500 million JPY (4.49 million USD) to provide facial recognition devices, which are expected to secure the Asian Games from any act of terrorism or extremism. Apart from the Government level, technical assistance will also be provided by a number of Japanese companies operating in Indonesia.